Siemens is a global organization involved in power generation, transmission and distribution, smart grid solutions and the efficient application of electrical energy – as well as in the areas of medical imaging and in-vitro diagnostics. Siemens employs 351,000 employees worldwide (September 2016). The Power Generation Services with a broad spectrum of innovative products and services is one of the leading service partners for ensuring high reliability and optimal performance of rotating power equipment within the utility, oil gas, and industrial processing industries worldwide. full potential of each individual plant but of the entire fleet. facilities are located in Germany, the United States, China, Russia, India, and Austria. the system and respective end-users and functional requirements. Siemens AG will be responsible for developing the virtual Power Plant Model. and optimization will also be developed by Siemens AG with the support of Siemens SA. 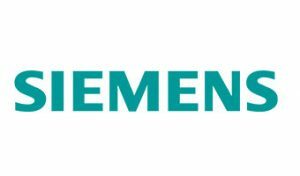 Siemens AG will participate in the activities of Dissemination, and deployment.